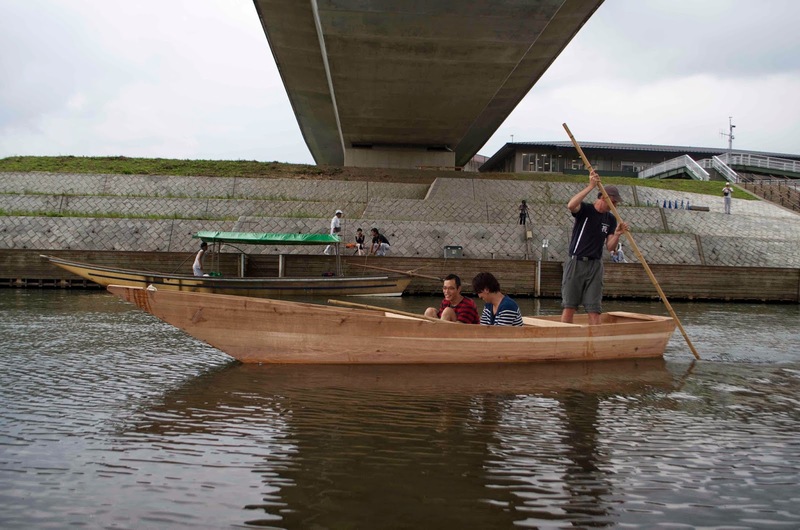 Last week we had a formal launching of the ayubune I built last May (see earlier blog posts). Ms. Riko Okuyama, the director of the Mizunoki Museum of Art, gave a short speech and then I officiated the shinsuishiki, or launching ceremony. This was Shinto-based. 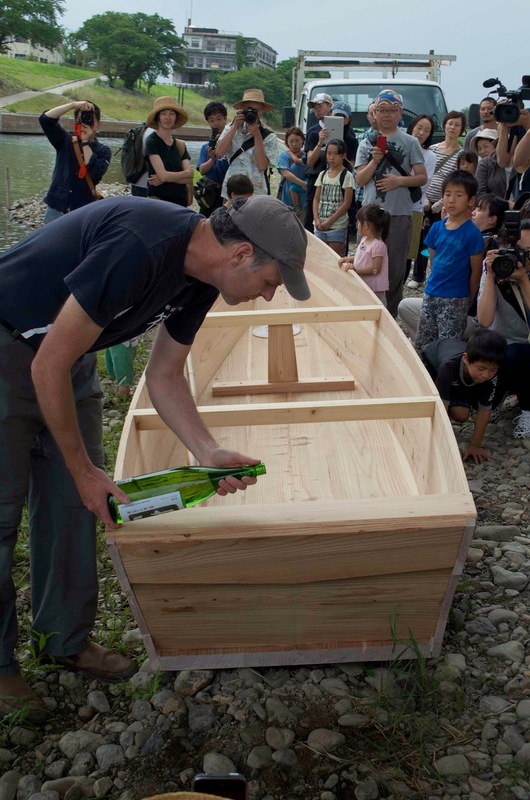 I had met an elderly boatbuilder in May who told me in this area sake was poured on the bow and stern of a new boat. These small boats were poled only, and let me tell you this is a lot harder than you might think. Its a bit like the J-stroke in canoeing, where you have to compensate for moving the stern from side-to-side. Add the current of the river to this and you have yourself a challenge, as I found out. 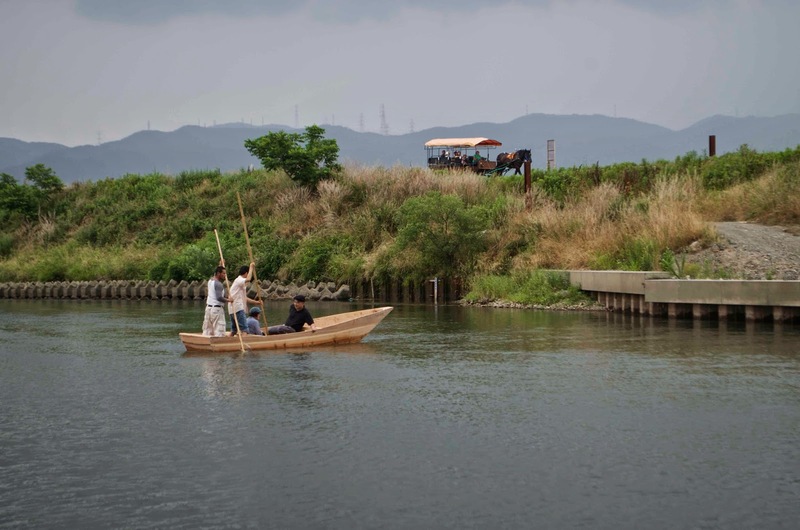 Luckily Mr. Hiroshi Yamauchi, a sendosan, or boatman of the scenic tour boat company (their boats are visible in the background), was on hand to lend his expertise. He was kind enough to spend over an hour poling boatloads of onlookers in our new boat. As with anything, seeing an expert in action is a real pleasure. I finally got the hang of it, sort of. 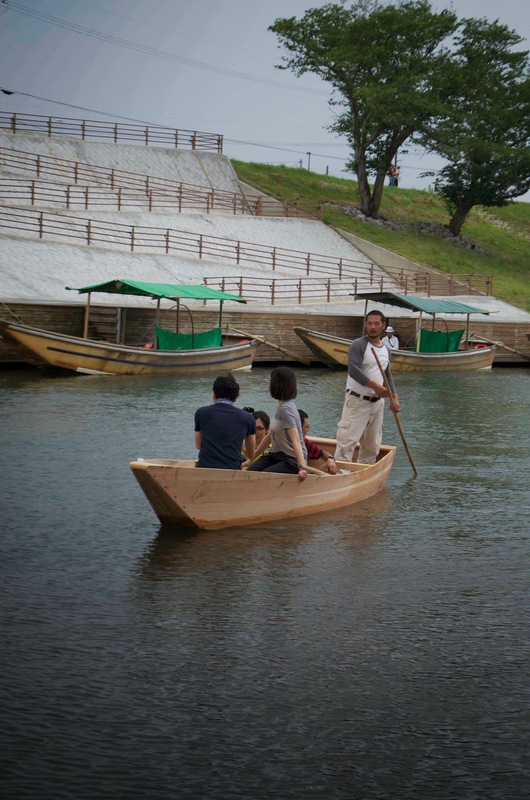 Our boat is going to be used later this summer by the Hozugawa NPO. 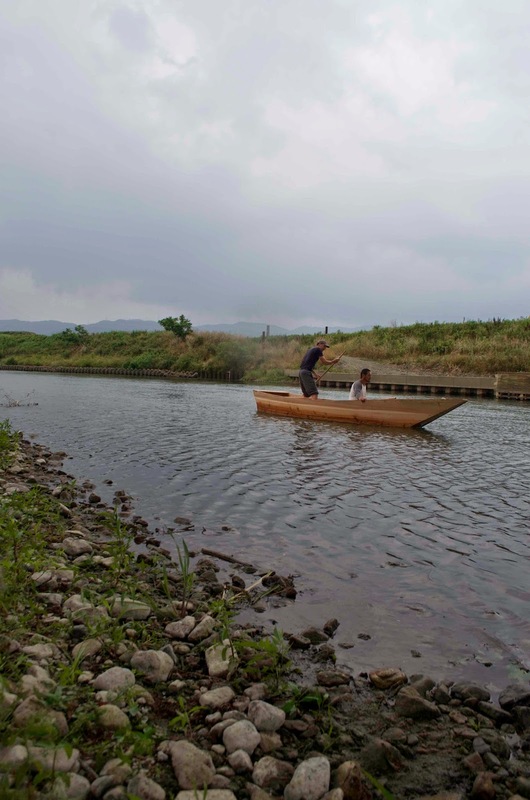 They have moved from activities cleaning the river to teaching children how to fish for ayubune. 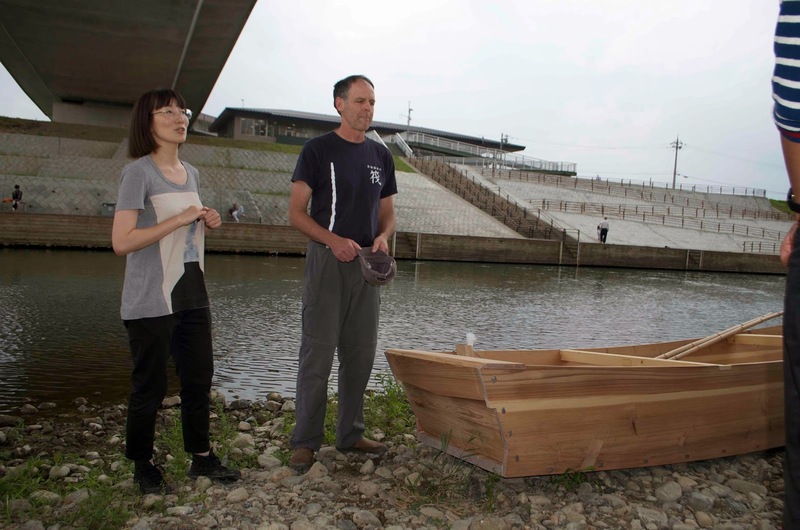 I am very glad to know this project has created a boat that will continue to bring people to the river and a deeper understanding of this community's culture. The Museum's exhibit on the boat is open until October. 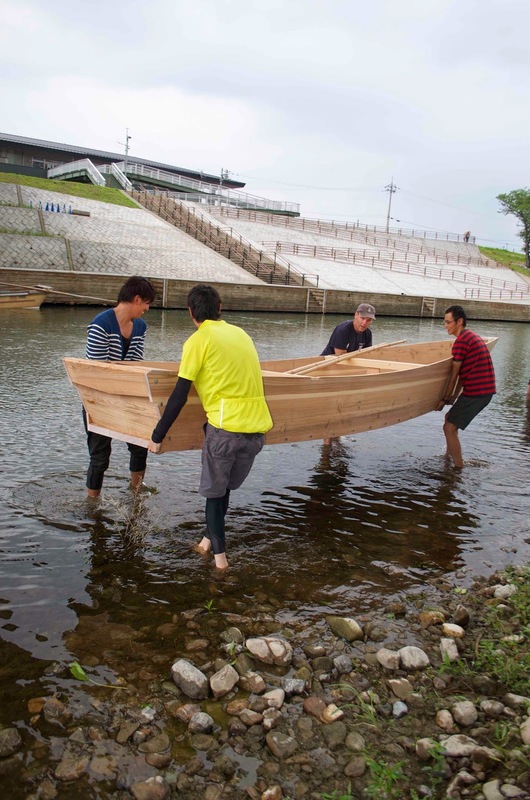 The boat looks like natural wooden boat.It,s very natural .